NRP continues to scale for unprecedented growth with expanded financial focus. Kyrah Coker, new Controller for NRP. Kyrah is key to supporting our financial technology solutions while working in tandem with our large commercial roofing contractor network. National Roofing Partners (NRP), the leading network of commercial roofing contractors in North America, is proud to announce the addition of Kyrah Coker to the NRP team. Coker has more than 20 years of progressively responsible finance experience directing companies financially from start-up through growth modes. Coker has spent the last 12 years as a director of finance and operations with a private, woman-owned and operated construction business (WBE) in Dallas. She helped grow the company exponentially, securing and maintaining bonded municipal contracts with the City of Dallas, and other surrounding cities. 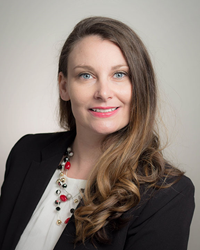 Prior to transitioning into construction accounting, Coker spent over a decade as a branch manager in a publicly held Telecom company headquartered in Atlanta, GA. During this time, she developed strong accounting experience and became an Intuit Pro Advisor. National Roofing Partners (NRP) was founded with the mission of continually improving the facility management capabilities of its customers by analyzing existing roof conditions, recommending and providing high quality single-source roofing replacements and services with dedicated support and technology. Building on the strong expertise of tier one commercial roofing contractors with over 120+ service locations and 8,000 employees nationwide, the network provides exceptional roofing and building envelope service, technology and maintenance for customers. For more information, visit http://www.nationalroofingpartners.com.